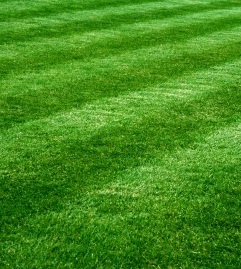 Have you marveled at how lush and green the grass is in sports stadiums? They are made of artificial grass in South Florida. Artificial grass is fast gaining ground as an alternative to real grass in the residential setting. Many homeowners are now shifting to artificial grass because they do not need to be watered, fertilized and mowed while looking natural enough to fool anyone they are real. commercial use such as in sports stadiums. Today more and more residential gardens are made of artificial grass. 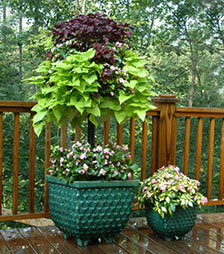 Come in synthetic (often polyethylene or polypropylene) green grass blades. Some artificial grasses are made from natural cork or even recycled rubber tires. Available in various pile heights, colors and styles. New technology has allowed artificial grass to also come in a brown thatch to mimic dead grass normally seen in real grass gardens. Comes with a solid backing where grass blades are machine stitched. Made in the same manner carpets are made. Comes in several layers including a backing, infill, cushioning and drainage layers. Artificial grass first made its appearance in the Houston Astrodome in 1966. The owners were miserably unable to grow real grass in time for its 1965 inaugural season. Halfway through the season the grass looked so terrible they decided to install artificial grass. Artificial grass provides a lot of benefits to homeowners making it a viable option to real grass. 1. Artificial grass has a long lifespan. While real grass may die, artificial grass can last for more than twenty years. pest control products as well as fertilizer. Lawn mowers are a thing of the pass with artificial grass. water to grow nice and green. This can give savings on water bills and man hours required to water real grass. porous thus pet urine will easily drain through and feces can also be easily removed. Artificial grass will not stain and will remain undamaged after an effortless clean. not only harmful to the environment but are dangerous for kids and pets. Water contamination caused by these pesticides being carried by water to the drain is also avoided. Artificial grass may be expensive to install but if you factor in all its benefits, it is worth the investment. here are the qualities you need to look for in good artificial grass. A good quality grass will dictate how long the artificial grass will last. UV Protection. Your artificial grass needs protection from the sun so it will always look green. If not treated with UV protection, artificial grass may turn white or blue and it may fade. Pile Height. Make sure the pile height refers to how long each grass blade is when measured and not the total height of the artificial grass including its backing. Backing. The backing should be a woven fabric made from polyurethane and never latex. The backing should be reinforced by extra layers or weft threads. The quality of the backing dictates the stability and resiliency of the artificial grass to various weather conditions. Gauge. Artificial grass should be stitched to its backing in a straight line. The gauge or distance between the lines should not be large as it will give the artificial grass an awful look. Stitch Rate. This refers to the number of stitches per square meter. The density of the grass is the combined quality of its gauge and stitch rate. Good quality artificial grass comes with a high density. Low quality artificial grass usually has a density of 6,000 stitches per square meter. Dtex. This refers to the weight of the artificial grass in relation to its height. High dtex translates to a durable and long lasting artificial grass. It is also wise to make sure that the artificial grass you choose is lead-free. Artificial grass comes in strips so other than checking on the quality of the artificial grass, you also need make sure it is properly installed. A properly installed artificial grass should have hidden seams. There should also be no gaps between lawn and the borders of the artificial grass. 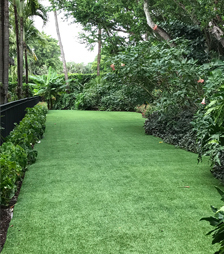 Artificial grass in South Florida closely resembles the looks and feel of real grass minus the hassles of care and maintenance.